Just a week after Sen. Kay Hagan (D., N.C.) recommended a North Carolina judge to President Barack Obama for a seat in the U.S. District Court, the judge ruled in favor of a company partially owned by Hagan’s husband. The senator’s husband, Charles T. "Chip" Hagan, was a managing member of Hydrodyne Industries LLC when it sued a regional water authority for drawing water out of a river that had one of its hydroelectric dams built on. The lawsuit sought millions of dollars in damages and was carried out by Chip Hagan’s legal firm. Superior Court Judge Calvin E. Murphy ruled the case in favor of Hydrodyne, setting the table for the Piedmont Triad Regional Water Authority to pay millions in damages to companies including Hydrodyne. Murphy’s ruling was made on Oct. 23, 2009, just nine days after Sen. Hagan sent his name to Obama to be nominated for a lifetime seat on the U.S. District Court for Western North Carolina. Hagan withdrew her recommendation to Obama after North Carolina’s News and Record contacted her office about the apparent conflict of interest, telling the paper that she "was not aware that Judge Murphy was hearing a case in which my husband had an interest." 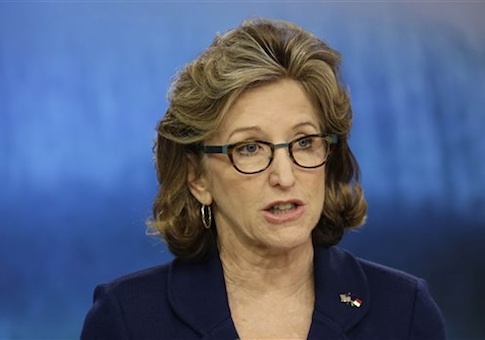 "To avoid any appearance of favoritism from my office, I am asking the White House to withdraw Judge Murphy's name from consideration for U.S. District Court Judge for North Carolina's western district," Hagan said in a statement at the time. The water authority appealed the ruling due to the connections between Hagan and Murphy. During the appeal, Murphy testified that he was in Hagan’s Greensboro office for an interview with the senator just two days before he heard the final hearings for the case in question. Murphy maintained, however, that he remained unaware of any connection between the Hagans and the case. "At no point was it brought to my attention that Sen. Hagan's husband had an interest in the suit or that his law firm had an interest in the case," Murphy testified. The Piedmont Triad Regional Water Authority was not convinced that Hagan and Murphy were both oblivious to each other’s connections to the case. "It was clear to me that we weren't getting an unbiased opinion, based on politics," said the water authority’s executive director John Kime. Each personal financial disclosure form for Sen. Hagan since she joined the senate includes her husband’s stake in Hydrodyne. From 2007 to 2010, Chip Hagan’s assets in the company were worth up to $250,000. The two most recent disclosures show that he now has assets of up to $100,000 in the company. Chip Hagan was also directly involved in the case. He submitted an affidavit in the case as the "manager and authorized representative of Hydrodyne." The affidavit was used in the case as verification from a manager with "personal knowledge" of the company that the amount of electricity produced was tied to the amount of water flowing in the river. He was also present in the courtroom, sitting behind lawyers from his firm with a briefcase bearing a visible logo of the United States Senate, according to News and Record reports. Sen. Hagan argued that Murphy was unaware of her husband’s involvement in the case because his name only appeared on his own affidavit. However, his name and contact information were on nearly every document included in the case file due to his position as founding partner of the law firm that represented Hydrodyne. Multiple appeals were filed due to the judge’s relationship with the Hagans, but the water authority eventually reached a settlement with the plants earlier this year for $2.35 million. Hagan was the manager of the partnership that owned Hydrodyne at the time of the settlement. Murphy remains a judge in the Superior Court, ruling on complex business cases. Hagan has been criticized in recent weeks for using her position both as a North Carolina state senator and in the U.S. Congress to financially benefit members of her family. Hagan’s office did not respond to a request for comment.